since starting in the 8.50 bracket in May '09. 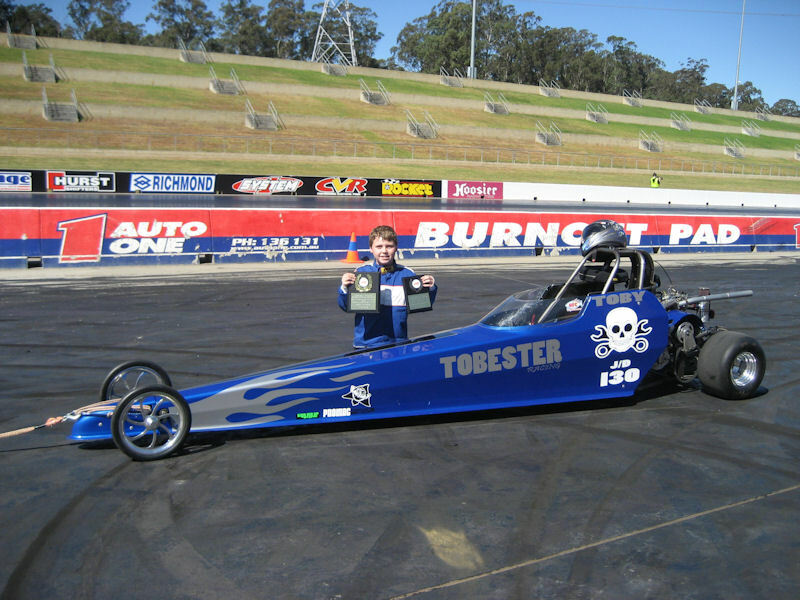 in the Junior Dragster Titles, he came in 1st in one race and 2nd in another. Toby is a true threat at any event.